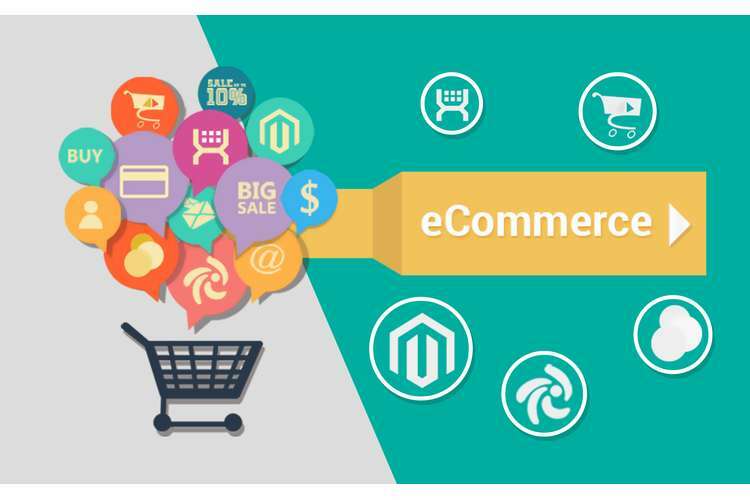 For the present context e-commerce business venture here deals with the electronic news established into business domain with help of ecommerce. This e-commerce venture would mainly focus upon the business news prevailing globally such as the economic situation in various business markets, currency positions, key raw materials & their demand supply, mergers & acquisition in global business domain and global stock markets etc. This business news e-commerce venture would mainly target some of the developed as well as developing countries such as BRIC countries in order to understand the economic situation prevailing worldwide. Environmental analysis for the e-commerce business can be carried out keeping in mind several important aspects such as the political factors, economic factors, social factors, technological factors, environmental factors and legal factors (Berinato, 2000). Being an e-commerce venture there would not be much impact of the political factors on the website and its working as there would be multiple countries from which news would be operated. Further media policies of a country would be having significant impact on the business venture which would vary country to country but being into developed & developing countries political policies would not be much of concern for the ecommerce venture. Economic factors would be of great importance for the business as main source of income for the business would be advertisements displayed through news portal and subscription availed by the readers for specific magazines and bulletins (Seybold, 2001). Depending upon the countries in which business startegy is operating there would be high impact of the local economic factors. Since business venture would be mainly for the developed and developing nations hence based on per capita income we can expect a high number of subscription and hence high income through business venture. Social and cultural factors would be favorable for the business venture as human beings are social and they like to have global information. Also into business culture it is important to keep updated on business phenomenon happening worldwide which would help in growth of the business venture. Technology has enabled the ecommerce venture these days due to which current business model would be more popular as now a day people like to read news through their hand help device and want to remain on global events which would be the USP of the current business venture. Development of technology would be helpful further in order to develop business venture (Bessen, 2002). Environment would not be of major concern for the current business concern but people like to have green environment hence physical newspapers are avoided by readers which would create place for the current business venture (Keats, 2003). Legal factors would be of much importance as media is a very sensitive business and due to operations in multiple country business owners need to know legal policies prevailing in various countries. Further dealing into these legal policies would not affect the business of the firm. Hence overall environmental factors have positive outlook for the ecommerce venture planned in the current report. Core competency for the news portal of the firm would be dual in nature as one side where in news portal would be focused towards the business domain in the news while at other side higher level of differentiation would be created among the market players through its extensive business research and business network. Figure 1 below provides the porter’s generic strategy map where in there are four competitive strategies used by market players which are cost leadership, differentiation, cost focus and differentiation focus. For the current news portal strategic competitive advantage which would be adopted as core competency of the firm would be differentiation focused. As a part of the core competency of the firm it would be mainly dealing into the business news domain where in specific news research would be done into financial aspects, mergers & acquisitions, stock markets and currency fluctuations (Berinato, 1999). Hence overall it would target audience who are keen to understand and explore business related news happening worldwide. Further differentiation would be created through good business network, updated technology to provide real time news, knowledgeable human resource and collaboration with other media players to develop a fast network. Segmentation: Based on the demographic characteristics of the potential customers entire market can be segmented into three broad markets which are segment A, B, C and D. Segment A consists of customers with high educational qualification, working into corporate offices, investing in stocks and in age range from 25 years to 50 years. Segment B of the customers would consist of the people with very high income range and are interested into stock tips and market economy news driving stock markets. Segment C would contain customers who are regular news channel customers and want to keep themselves updated with the global news (Kotler, 2009). Segment D would be consists of marketers who want to advertise their products and services through media. Targeting: Based on the segmentation derived and objectives of the organization target segment for the service offering of the company would include segment A, B and Segment D customers. While segment C customers would not be target through the news portal as these consumers would not be interested into the service offerings. Segment A and B customers would be targeted not only for the e-paper but also for the subscription of magazines and monthly bulletin as well. Segment D would be targeted for generating most of the income as they would provide income for the firm in form of advertisements and classified placed on the news portal. Positioning: News portal would be positioned for highly specific business segment where in audience would be attracted based on the exclusive news into business domain happening worldwide (Chaudhury & Jean-Pierre, 2002). Business news and magazines would contain high level of research with expert opinion on the global economic phenomenon. Overall positioning for the news channel would be value for money as subscriber for the magazines and bulletin would get desired material and advertisers would get the focused customer segment to which they can publicize their market offerings. Product: Services offered by ebiznews.com would contain exclusive business news categorized into several domains such as the stock exchange reports, stock tips, expert opinion, global economic phenomenon, mergers & acquisition and commodity news etc. There would be three offerings for the customers which would be daily bulletin, e-paper and electronic magazine subscription (Berinato, 2000). Unique proposition for these product/services would be high level of information specificity included in these products which would be based on the market information and exploring global economic clues affecting the economic trends. Price: Premium pricing would be chosen as customer segment targeted by the company would be of high income group and require premium information regarding business domain (Miller, 2002). Pricing would be two fold as premium pricing would be charged from the audience while for the marketers competitive pricing would charged as being the new entrant into media domain it would not be easy to penetrate the market. Place: Place of service would be through online news portal and soft copy delivered for the magazines and bulletin to the customers who have subscribed for the exclusive news papers and magazines. Promotion: Promotion for the news portal would be done through online marketing methods such as SEO (search engine optimization), online marketing, email marketing and banner marketing etc. For SEO content of the portal would be optimized according to the search carried out (Nissanoff, 2006). Banner marketing would be done in collaboration with the famous websites where in promotion would be done on per click method. Along with online marketing physical outdoor media would be used on order to promote the website. Bargaining power of customers: Customers are not having high bargaining power in the industry as proposed media portal would provide exclusive business information which is not available with the other market players. Further for specific business managers these magazines and bulletin would be highly customized to provide them exclusive industry information. Hence overall customer bargaining power would be medium to low in the electronic news industry. Bargaining power of supplier: Supplier for the current industry would be partnering media types such as newspapers, TV channels, reporters and business experts would be containing high bargaining power as this business is content based (Kessler, 2003). Entire USP of the portal would be based on the knowledge contained with the human resource and experts giving their opinion to the viewers of the news and magazines. In order to reduce bargaining power of supplier it is important to reduce the reliance of organization of some experts and to include more number of experts. Threat of new entrants: Business ecommerce venture there is medium to high level of threat for the new entrants into industry. But ebiznews.com is specifically operating into business domain for which exclusive business research would be required and this would deter the entry of new entrant into industry as well. Competitive rivalry in industry: Industry for news and magazines is having intense competitive rivalry as there are several big market players operating since several decades and are known worldwide for their information delivery into business domain and other news as well. In order to deal with competitive rivalry it is important to chose the focus marketing strategy where in major focus of the company would be towards some of the specific domains such as stock exchange, mergers & acquisitions and currency prices etc. Threat of substitute product: As a substitute product physical news paper and magazines would created high degree of threat as people love to read things into physical form. But since proposed news portal would be committed to provide real time update on the various news and business information hence substitute products would not create much difference for the news portal (Eisingerich & Kretschmer, 2008). Some of the key stakeholders involved in the proposed ecommerce news portal are industry experts, writers, viewers or readers, business organizations, marketers and promoters of the proposed ecommerce business. Management of the ecommerce venture has invested their money for setting up ecommerce business and their expectation would be to get return on their employed funds (Graham, 2008). As the goal of the organization is to maximize their income sources through subscription and other sources hence promoter expectations would be the key part of the entire business. Readers or viewers of the news portal would be expecting news which are of their usage and can help them in their business. Further investors who are dealing into stock markets would expect key information through news portal so that they can grow their investments from expert opinion in stock domain. As company is committed to develop a business research domain with high level of expertise into business information hence expectations of readers and viewers would be a part of the business venture. Industry experts and writers would be the key stakeholders in the entire business model as they would develop content of the news portal and their expectation would be that readers like their content and get benefited through advice given by them (Frieden & Roche, 2006). Marketers would be expecting that news portal has a large customer base so that their advertisements get highest visibility and hit through the proposed news portal. In order to meet expectation of marketers a large customer base would be developed with free subscription and fee based subscription as well. As a part of business model it is important to identify several aspects of business such as the pricing model developed, marketing strategy and value proposition. Ecommerce model for the current business venture would be such as to involve viewers based on the content developed by the news portal which would focus on the business information required by the current age managers (Tkacz & Kapczynski, 2009). E-commerce model would be dual in nature as one side subscription based pricing would be done for the viewers while pay per click method of pricing would be developed for the markets giving their advertisements and classified with the news portal. As a part of market penetration or customer acquisition strategy ebiznews.com would develop its customers through online advertisement sources and outdoor media as well. At initial stage company would start their setup in some of the developed countries such as Australia, UK and USA. While looking at the success of the news portal market expansion as well as service offering expansion would be done in order to enhance their business revenues. Value proposition for the customers would be value for money as viewers would get extensive material of their usage not available with the other news portals. Current report has analyzed strategic aspects of the ecommerce business named ebiznews.com which is dealing mainly into delivery of news through electronic media into business domain. It has been found that environmental factors are quiet supportive for the setup of business venture and unique selling composition has been identified so as to attract the customers of the news portal. Business model of the venture would be multi fold where major focus would be on advertisements to generate revenues. Risk analysis shows that there would be low level of risk existing for the business and overall ecommerce venture seems practically successful. Tkacz, E; Kapczynski, A (2009). Internet - Technical Development and Applications. Springer. p. 255. ISBN 978-3-642-05018-3. Retrieved 2011-03-28. "The first pilot system was installing in Tesco in the UK (first demonstrated in 1979 by Michael Aldrich)." Eisingerich, A ; Kretschmer, T (2008). "In E-Commerce, More is More". Harvard Business Review 86 (March): 20–21.